We have over the duration of our project looked at a whole range of documents which we have referred to regularly. We have amassed quite a collection of items taken from the strong room on our red trolley. Now the residency part of the project is largely completed some of the documents will be returned once again to the strong room. The ones left on the trolley have been selected by the group and myself for photographing using the stand and lights they have at the Archive so I can get some images where i have control over the lighting. Our closing discussion was about the nature of the project, it was David from the Parliamentary Archives who said with an artist leading the research process the project has gone in a different direction. That is what I enjoy so much about cross discipline working, the ways in which an artist may approach a topic will obviously differ from that of a historian or archivist. Our research journey has been facilitated by having weekly meetings, the space in between meetings allowed us all to consider what we had looked at and what might be next. We have focused in and in and in, trying to find answers but also trying to find truth. Patricia asked if I could have done the project alone: the answer was No, it would have been impossible to deal with the quantity of information and it was the group’s background knowledge of these characters and the sites around Norwich that has been so valuable. It’s the discussion, the questioning and sometimes the finding of answers that is so positive about projects like these. And importantly this is an outreach project, it wouldn’t have even come about if there wasn’t a group to work with. 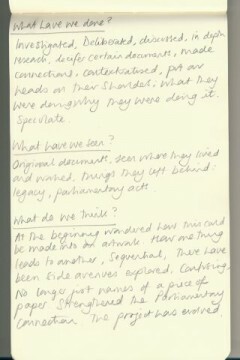 I did ask the group about the questions we have been left with: Why we can’t find a paper trail for Bland (in these archives at least), Where is the portrait of William Herring given his civic service (I’ve sent an email to the lady we met at the Guildhall last month to ask) to name but a few. Research always throws up more questions than answers but we have throughout this project discovered a great deal. 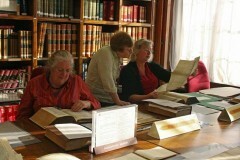 From names on the Land Tax Act held in the Parliamentary Archives we have, through looking at documents, undertaking walking tours, engaging in group discussions mapping information and visiting the Parliamentary archives found our five commissioners are now more than names on a piece of vellum. They have connections with each other and the wider world, they have undertaken philanthropic activities and instigated innovative projects for improvement of the the city of Norwich. I now have the job of condensing the information, distilling it into a format and creating an artwork suitable for digital platforms. While we were waiting for the fire brigade to say we could go back into the archive centre I had a chat with Susan. 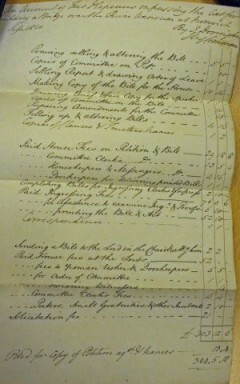 After our visit to London on Tuesday we had been looking at the Acts relating to the Foundry Bridge amongst others. I emailed Susan to ask if we could look at the City Minutes Books for the date the Foundry Bridge Act was passed in 1810. The terms of the Act parliament were very specific and detailed a meeting which should take place. The meeting should consist of 5 commissioners (non of whom had financial interest in the bridge), it should take place at the Guildhall between 11am and 1pm on the 30th April 1810. We looked at the City Minute books and Book of Assembly proceedings (basically the same, with the Book of proceedings in neater handwriting) and did find some references to the Act but not what we were hoping for. We hoped to find mention of that meeting that should have taken place but it was not to be seen. It was when Susan came in with box City Records 22a (3) that things really started buzzing. 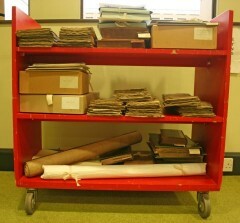 On opening there were collections of documents in bundles with references to Foundry Bridge – Bingo. With little time left and much excitement the bundles were unpacked. There were moments of silence when everyone was engrossed in reading these new finds, then statements said aloud pertaining to the content were shared within the group. A draft petition, an itemised bill of how much it had cost to put the act through parliament, a receipt for the same amount. Then an invitation was found, from James Marsh who had acted as Solicitor for the submission of the petition. It detailed the meeting we were looking for, Monday 30th at 12o’clock. What a find, and an amazing find at that. David from the Parliamentary archives was with us and on reading some of the material he realized that these were drafts and copies of documents that would have been sent to the House of Commons. Due to the fire at the House of Commons in 1834 (and all House of Commons records being burnt or severely water damaged) these records at Norfolk Record Office would be the only material pertaining to the drawing up, drafting processes and billing relating to the Act. It all seemed to come together in the last hours of our final meeting. It was a welcome and exciting final day of working together. I’m just wondering if the Solicitor, James Marsh might just be connected to Marsh Solicitors on Queens Road in Norwich, its a long shot but worth an email to head office in London. Many of the these large companies have archives and archivists who may be able to provide a history of the company. Yesterday our last session together was a tour of the County Hall site with Tom from NRO as our guide. One of our commissioners Philip Meadows Martineau had a summer house built on the site, designed by William Wilkins (www.chambermusicians.org.uk/william_wilkins.htm ) with the parkland landscaped by Humphry Repton (www.themorgan.org/collections/works/repton/default…) both of which had prominent reputations in their respective fields and a Norfolk connection. It would have been a lovely place with views down to the river. Martineau, in his will left the house and grounds to his wife and then his daughter. When his daughter died the house and grounds passed to a distant nephew who sold the estate to the Coleman family. 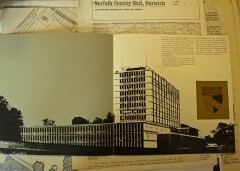 They in turn, in the 1960’s sold it to the County Council. The idea was to centralize the existing geographical locations of the Council employees and thus County Hall was designed and built. 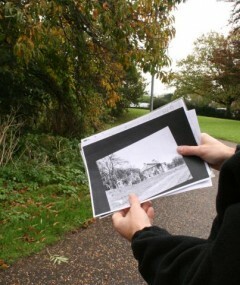 As we walked around Tom pointed out where the house would have sat (in the car park) and landscape features. Some trees on the site could be from Repton’s time or before. There is a stone archway in the trees, a folly which would have stood next to a small chapel which housed a visitors book. The arch still stands (the stonework was taken from the former cathedral site) but the chapel is reduced to some footings and some cut stones around and about. I found myself very disappointed that the Martineau house had been knocked down during the construction of the new building There was some thought about keeping and using the house as council offices but this was not to be, so the house was cleared. This tour completed our set of tours to sites connected with the commissioners. The activity of walking has led to many conversations and possibilities. 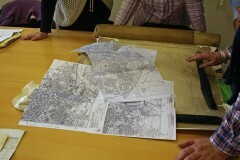 After the tour and a welcome cup of tea we had a look at some documents relating to the site. Looking at a series of maps of the area we try to see the changes that have occurred to the site through the documentary evidence. In amongst the documents is a bill of sale for the property, photographs mounted in a book taken when the land was being cleared and copies of publicity photographs and articles. The building won an architectural prize at the time and I can see why: its innovative use of materials and the aesthetics of having the entrance hall glazed both sides so people could literally see through the building from front to back. It feels like it looms large in the landscape but was designed to sit into the hillside which was one of its celebrated features. 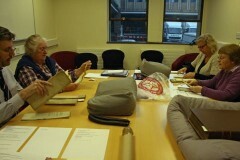 We decided on an early lunch so we could look at follow up documents we ordered after our Parliamentary Archives visit. Just as I was chatting to Susan about the documents the fire alarm went off (second time since I have been working there) and we all had to evacuate and we spent time sitting in the aforementioned entrance hall of the main County Hall building waiting for the all clear from the fire service. Today was our group London trip. On arrival after a welcome cup of tea and a biscuit (thank you Laura), Mari arrived to take us to the Acts room in Victoria Tower. The tower was designed specifically to hold records and is still used for that purpose today. It is currently at about 80% capacity so the acquisition policy is an important management tool in terms of not only quality and diversity but also quantity. The medieval Palace of Westminster burned to the ground in 1834 and all of the House of Commons documents went up in smoke or were severely water damaged. 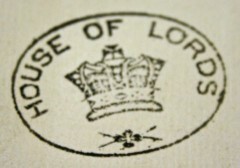 The records of the House of Lords, stored off site were safe and have been housed in the tower since the new parliament building was completed around 1870 having taken around 30 years to complete. The Acts Room is a visual treat and this time, although outside our time frame by some considerable years we had the opportunity to look at documents relating to Henry VII and Henry VIII. 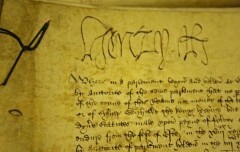 Having learned much about Henry VIII at school, seeing his signature on a document felt very significant. His ideas and actions were so radical and far reaching they still effect us today. 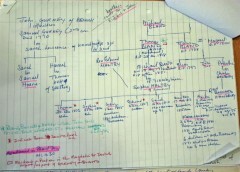 The team at the Parliamentary archive had things prepared, the original Land Tax Act had been unrolled to the Norwich section. The other documents in the search room related to civic matters, petitions for the building of roads, bridges, the introduction of gas lighting. 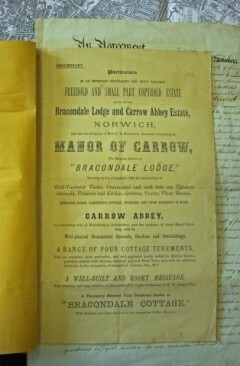 The names of our commissioners can be found in the Acts granted for these petitions, with four of them having had a hand in the building of the Foundry bridge in Norwich, which can be found at the bottom of Prince of Wales Road which many Norwich residents walk, drive or cycle over on their way to the train station. There were also plans for a rather ambitious Navigation Cut to join the River Wensum and the River Yare, making a navigation channel available for shipping between Norwich and Lowestoft. Granted Royal Assent it was never built perhaps due to the fast advance of railway engineering and building. 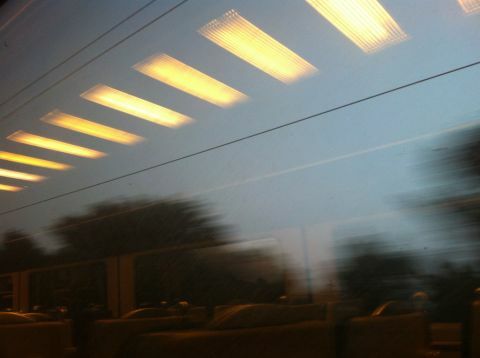 The train journey to Lowestoft from Norwich is simply lovely across marshes. In the search room we discussed how such projects would come about. Our commissioners were very likely to be spending time in London, hearing or engaging in conversations about other ambitious civic projects such as road building. With a desire to improve Norwich, whilst also considering the likely returns from their own financial investment their legacy can be seen around plenty of sites in Norwich today. Ahead of our trip to London tomorrow I have been reviewing some images and I came across these photographs I took last Thursday. 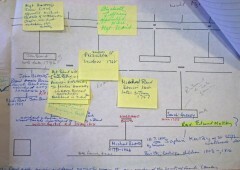 They show the work of Patricia, one of the History Detectives. The commissioners in this project were first investigated some years back and Patricia was one of the original group. 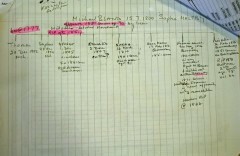 She has been exploring the life of Michael Bland and has recorded the information on a series of diagrams. I think it’s one of the most useful ways of presenting research information as it allows for adaptions, alterations and crossings out. These diagrams can be used as the basis for a piece of text, an article or book but as you can imagine I am most fond of the diagram just as it is, visual and open to how it is read, processed and understood. It’s perhaps an obvious point but I’m taken by how both of these people are considering beauty in relation to disseminating or recording. I want to create a map of the research to date to help me plan the artwork, there is lots of information so it may take some time.